Well, the Little Twiglet will have more than one blanket, but it will have one knitted especially for it by me. 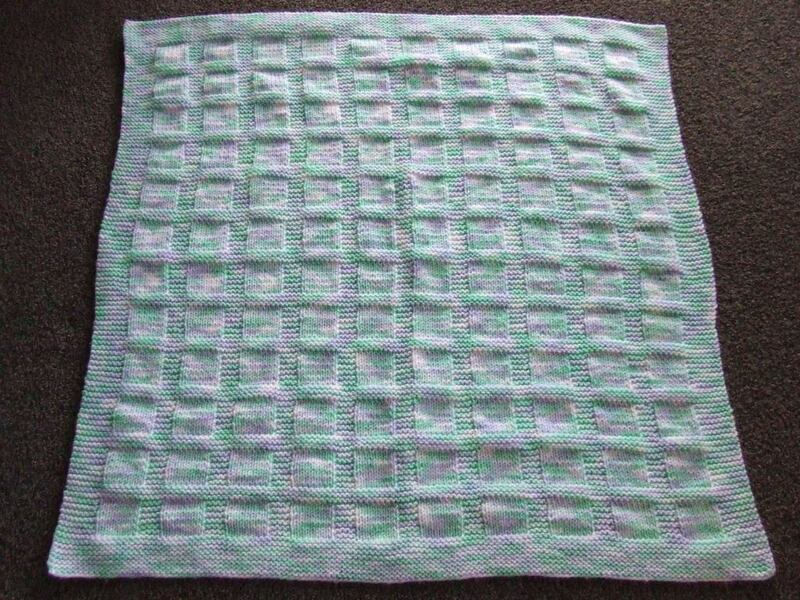 Yes, I have finally finished the baby blanket! 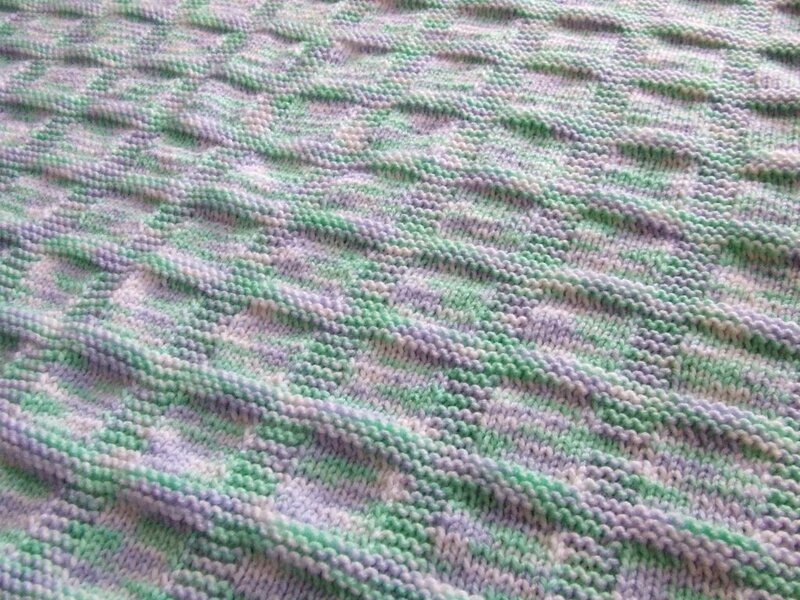 When it is old enough to understand, I will tell my child that I knitted the blanket for it, to which I will probably get little response or acknowledgement, but I will still feel pleased with myself. The blanket is a little more square than the pattern. I decided to stop one waffle section before the end of the pattern as my yarn was running low. Good choice. If I’d blindly kept going I no doubt would have ended up in an awkward place. Now I should probably wash it since the “lemon honey drink in the tiny mug handed to a pregnant woman awkwardly by a husband” incident. I have already started on my next project: more baby booties. But this time they are for the Little Twiglet. And I had a moment of sanity and chose a much more simple pattern. Next in the 10-million-project line after the booties is a hat for the Little Twiglet, followed by slippers for myself, followed by a cardigan for myself, followed by a big stuffed owl for the general population of the house. I have yarn (or it is on its way) for all of these projects. The order is, of course, subject to change at a moment’s notice if one of the other 10 million projects in my queue more greatly tickles my fancy, if I find myself in front of some highly desirable or on-special yarn (a significant possibility) or if my nesting just goes nuts in a knitting-oriented way. Who knows? Thanks Jo. Things are so much more special when you’ve knitted them yourself aren’t they?